5.8 fl.oz - Fresh-forward. A blend of light moss, white thyme, and robust bamboo. Brooklyn-based Apotheke gives us all the luxurious feels. Made with the finest of ingredients and care, yet never out of reach. 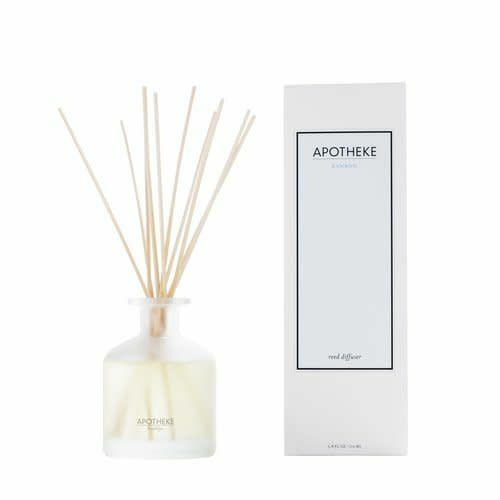 With the simple flip of a reed in this elegant diffuser, any room can aquire a long-lasting aroma. All oils are alcohol-free, but full of natural fragrance. Approx. scent longevity of 90-100 days, when flipped frequently.